We are a team truly committed to Build it Right and do what we know best. 1. We are licensed. Hiring an unlicensed contractor can cost you thousands and leave you unprotected against damages. 2. We have over 20 years of experience. Remodeling Depot World has be the best professionals for home remodeling, house renovations, kitchen cabinets and bathroom vanities in Broward County for over 10 years. 3. We are owner operated. That means when you call Remodeling Depot World you will speak with the people who run the business. We ensure that an owner or manager is on-site for every home remodeling, kitchen and bath remodel we do. Whether it is a kitchen remodel, wood cabinets, granite counter tops, impact resistant windows, custom doors, bathrooms remodels or room additions, we can make your remodeling needs a dream come true. Our we are proud of all our projects, we encourage you to take a look at our Kitchens and Kitchen Refacing projects which are always a favorite with our customers. 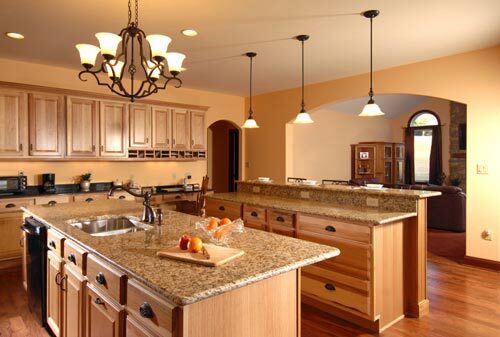 Call today and let our professional remodelers provide you with a free quote. 1. Before any work begins we provide your with a free quote. 2. Once we have agreed on a price, we create a project timeline. Our install timeline allows you to plan any other improvements you may be making. 3. When work begins, we do not stop until the job is done. You have our promise that we will complete the project within the allotted time.